Such a wonderful evening! – There is almost nothing more to say or after three months of abstinence, there are just not enough words to describe this explosive feeling of happiness seeing Coppelius back on the stage again. Scene of the crime: The ‘Moritzbastei’ in Leipzig. Time of the crime: Beginning of the evening. Suspects: The gentlemen of Coppelius on stage, who didn’t need a support band, as also a very crowded row of madmen in front of the stage, also known as ‘Fanatiker’ (fans). Atmosphere: Already at the beginning very joyful and ebullient, just as it should be, and only getting better as time passed by. A well-mixed audience, that came together in the best dance and party mood. Tremendous! The sound: LOUD. Drum solos almost blew up one’s heart chambers, but – who cares. (The author has to admit the truth: This time I haven’t really paid attention to it. Most of the time one was busy with the lust for life. That’s why I can’t tell much about it). Set list: The extra songs almost gave me a cardiac arrest. It was amazing. ‘Killers’ and ‘Olimpia’ can be considered as favourites of the evening. While these songs were played, in the front row the Blubberbrigade came together and rendered a soapy service. Also ‘Phantom of the Opera’ was marvellous. The audience made so much noise after the concert, that two extra songs followed – extremely commendable and – as felt during the following days – good for the neck muscles. Coppelius helps against stiffness. Very nice to listen to was also ‘I’d change everything’ – the remaining songs that were played, were very suitable to steady dancing and to sing along. It is probably a personal thing, to prefer rather the banging pieces, that were rather sparse this time. But nonetheless it hadn’t any bad influence on the atmosphere – the crowd was in a party mood. Also Le Comte Caspar, who was in fact still struggling with a broken toe, jumped around on one leg – that is certainly the rhythm, one has to follow! In generally: as said, after three months ‘without’ a very stirring concert, the atmosphere was – at least with us in the front rows, simply explosive. 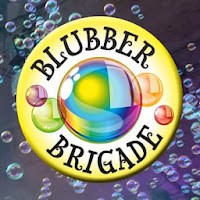 There were a lot of soap bubbles, also a very big thanks to the people, who meanwhile Blubberbrigade buttoned themselves, amazing, thank you so much! – After the show some of the gentlemen were also willing to have a little chat. And hereby also a warm hearted greeting from Bastille, who let understand that the fans are very important and that all our actions entail a lot of fun and pleasure. That is very nice to hear! Also new visitors were utterly moved by the partly champagne spraying show, as one could experience during the conversations. It was really nice, seeing already known faces and getting to know new ones. For friendship, for partying, a very impressive evening in every way. I would love to do it over and over again! I’m already looking forward to Stuttgart!